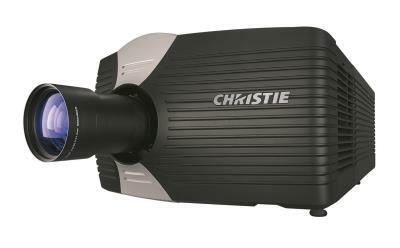 Christie is providing 4K projection to the BFI London Film Festival (LFF) at a unique temporary cinema that could become a blueprint for others. The Embankment Garden Cinema has also been built in celebration of the LFF’s 60th anniversary and for 11 days, with a 16m screen bigger than most London cinemas, the rigid-bodied structure seats 800 people at London’s Victoria Embankment and screens the LFF’s Official Competition and Strand Gala premieres. Christie’s cinema sales manager, Phil Lord, praised the project: “We have worked with the BFI for many years and totally support their work as part of our commitment to UK cinema. They have come up with a novel way to extend top-quality cinema to a festival audience. The result is hugely impressive.” The two Christie Solaria CP4230 DLPs supplied are on a 6m high platform behind the seating. “We’re using 6KSP lamps, which are very bright. We have no 3D screenings so opted for a matt white screen for better 2D image quality,” said Dominic. Gala showings of films will be taken from all the festival’s thematic strands, competition titles and host celebrity guests and directors. Two generators run the Christie projectors, cinema servers, theatre lighting and all the power needed for the box and bar. The 12m-high, steel-framed structure is the largest of its type built in the UK. BFI London Film Festival is Britain's leading film event and one of the world's best film festivals. It introduces the finest new British and international films to an expanding London and UK-wide audience and attracts significant international film industry participation. LFF is a compelling combination of red carpet glamour, friendly audiences and vibrant exchange. LFF provides an essential profiling opportunity for films seeking global success; promotes the careers of British and international filmmakers through its industry and awards programmes and positions London as the world’s leading creative city.